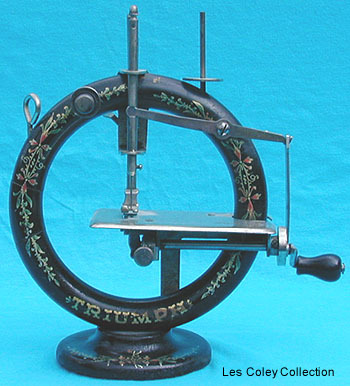 Toy sewing machine - Foley & Williams' "Triumph". This delightful wooden framed toy sewing machine was produced in the USA. It sold in the early 1900s for a little over $1. It has been suggested that the "Triumph" was possibly manufactured by the Foley & Williams Company.